Gurabani Judge aka Vj Bani is an Indian model, actor, reality show judge and fitness model. She is one of the celebrity contestant in Bigg Boss Season 10. she belongs from Chandigarh and got lime light after roadies season 4 where she was the runner-up and after that she has been an integral part of roadies and mtv team. Bani is a gym freak and her love for tattoos has been well known. VJ Bani can also be seen in some movies like Aap ka Surror, Zorawar(Punjabi) and Thikka. N w she is into the Bigg Boss 10 house and a lot is expected from her. Yeah you are heard it right. Rohan stabbed bani with knife. It all happened during the Bigg Boss 10 luxury task Raja aur Runk. Rohan was playing a role of an entertainer and while he was playing with knives accidently he staabed Bani with a Knife that led to a minor wound and injury at Bani’s abdomen. She was quickly given medical treatment. 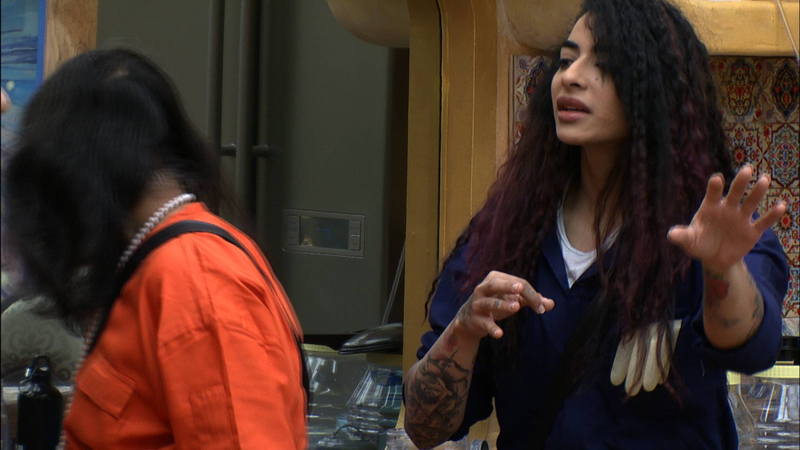 Because of pain Bani loses her cool and lashes out at all her teammates and asks them to leave her alone for sometime. Rohan on the other hand was feeling guilty and the housemates were consoling him by telling him it was not his fault. Bani was not only upset because of the pain but also was concerned for her tattoo which might get harm because of the wound. Bani has been the most well behaved contestant in the house as she has shown a very calming behaviour till now. During the laundary task Bani asks the Indiawaale for a cup of Cofee as the Maliks of house as per Rules. When Bani asked Nitibha Nitibha refused and bani ask other commoners also but she was refused by everyone. Naveen was working inside and Swami Omji who got the task of making cofee said -” Ye ziddi ladki hai. Isko pata hai mujhe nahi aata ye sab isliye mujhe bola coffee banane ko. Ye badla le rahi hai”. Later Nitibha complaint to bani they didnt have Breakfast and had a ugly spat with Bani but Naveen calmed everyone down.